Tibetan spiritual leader the Dalai Lama offered his condolences to the family of India’s former Defence Minister George Fernandes, who passed away on Tuesday at the age of 88 following a prolonged illness. He was suffering from Alzheimer’s disease, and was bedridden for the past few years. Fernandes was sympathetic to the Tibetan cause. He had supported and participated in various Tibetan events for decades as an activist, politician and a minister. The Dalai Lama prayed that may he be reborn again to serve his country and in particular the cause of the underprivileged. 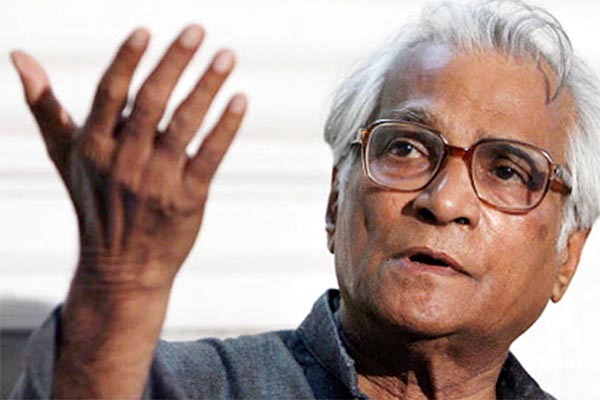 Sangay said that during his tenure as the Defence Minister, George Fernandes was the first Indian official to call China as the number 1 enemy of India, which Indian people are now realising as true. Tibetan Youth Congress President Tenzing Jigme visited the grieving family to offer his condolences at their residence in Delhi. The largest Tibetan organisation in exile fighting for an independent Tibet, in a message said, “George Fernandes was a staunch believer and a genuine supporter of an independent Tibet who have fearlessly raised voices against China and also called out China as the potential number 1 threat to India. In the 1960’s news about Tibet was very scarce. Tibet was behind the bamboo curtain. The Chinese had a free hand as India turned a blind eye to the situation in Tibet. Pandit Jawaharlal Nehru had bartered Tibet’s independence for India’s security. He was under the impression that if Tibet was used as a sacrificial goat, he could buy peace with China. He was also duped by the Chinese communists who insisted to be friend of India. He was so carried away by the communist rhetoric that without considering the huge ramifications for India’s security, he accepted “Tibet as a part of China”. He was convinced of the Chinese sweet reasonableness that he went all the way to support PRC’s admission to the United Nations. Therefore, in the 1960s the only well-known person who was openly supporting Tibet was the late Prof ML Sondhi but soon George Fernandes and his party, The Praja Socialist Party had a different view of China unlike most Indian parties, who were cultivating China like Pandit Nehru. He was enraged by China’s occupation of Tibet and became a staunch supporter of Tibet. He never trusted the Chinese because China had a “aggressive strategic culture” towards its neighbours. He was proven right when China invaded India in 1962. He detested that China had not accepted the McMahon Line under the 1913 Simla Treaty between British India and Tibet, delineating the border between India and Tibet. George became the champion for an independent Tibet to secure India’s border in the north and preserve the Tibetan nation and its identity. He continued his support for the rest of his life for an independent Tibet. He saw China as the Nr 1 enemy of India and said so in 1998 when India conducted its first nuclear test in Pokhran when he was the Defence Minister of Vajpayee Government. My deepest condolences and respect to George Fernades’s family. He devoted his entire life to fighting for the poor and against injustice. We remain grateful for his support for the Tibetans.